White Skin Creamy White Flesh. 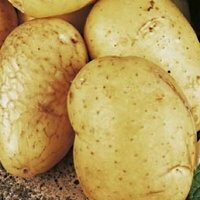 Valor potato seed are evenly sized round tubers with white skin and creamy white flesh which are harvested in October and store well. 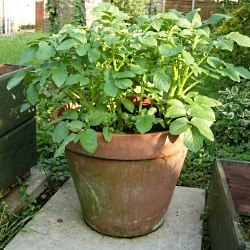 Cooking quality is very good with a dry firm floury texture - a versatile all round potato particularly suited for baking and boiling, has a pleasant taste. A vigorous grower with excellent all round disease resistance including blight and scab, also slug and eelworm resistant. The numbers given for pest or disease susceptibility or resistance are to be read as indicators. Factors like soil, crop maturity and skin thickness can affect the outcome of these readings - they are only a guide... don`t get hung up.